I'm back from my (unintentional) blogging hiatus! I'm sorry I've been MIA but I promise it's for good reason. 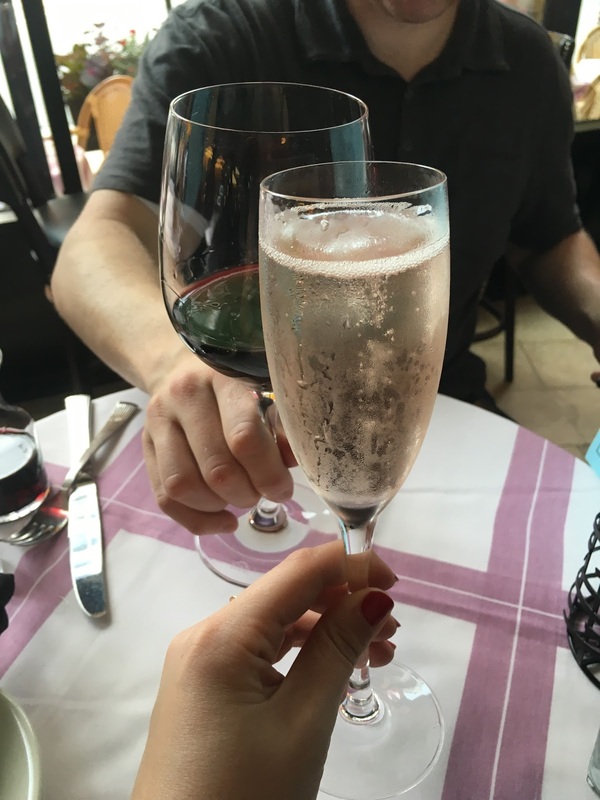 Since my last post, I started a new job at my current company, started writing about Chicago restaurants for Thrillist, and got engaged to the BF! That's right, the BF is now the fiancé! It's been a whirlwind two months but we found time to relax and fit in a short Chicago staycation. 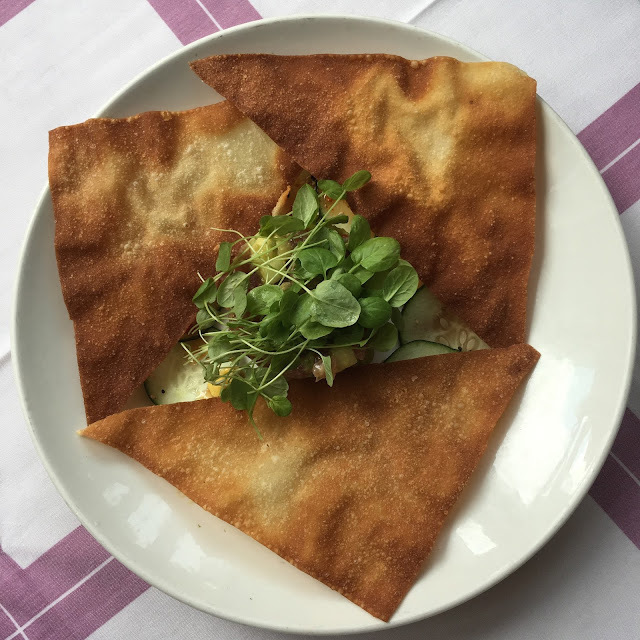 I'm excited to share where we stayed and ate! The fiancé and I found an amazing bed and breakfast in Old Town, just a few blocks off the Sedgwick CTA stop. 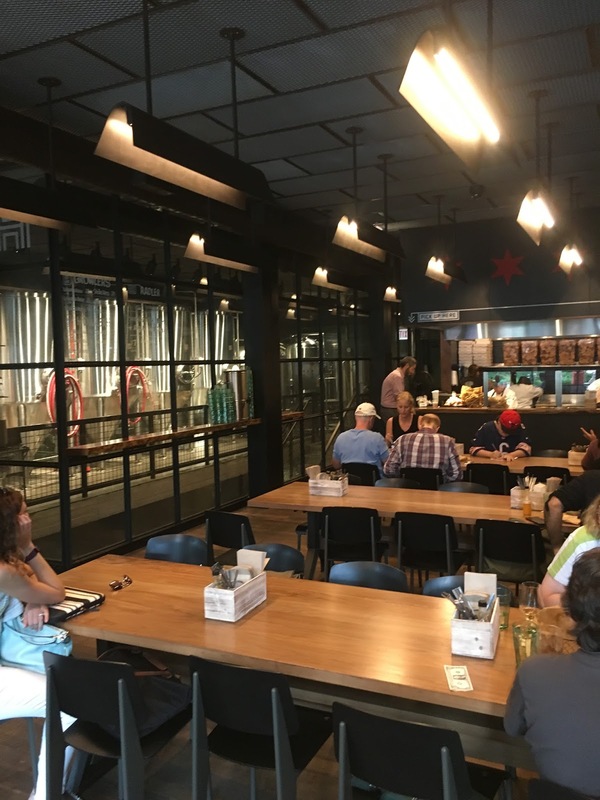 Called The Sono Chicago (South of North Ave.), the modern building is less than one year old and took just over a year from concept to opening. The Sono is owned by a husband and wife team who actually live on-site, ensuring your every need is met. 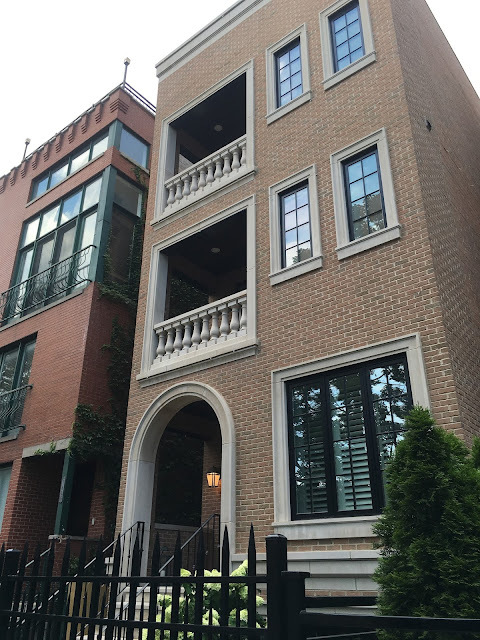 The four story building is beyond gorgeous and features seven guest rooms, each with its own bathroom, and many with their own balcony. 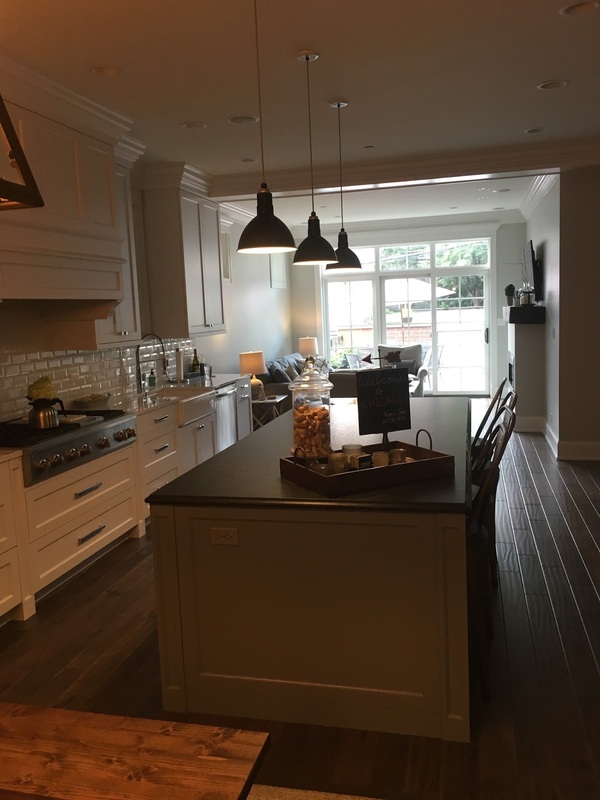 The entire place feels so cozy and homey, and we were absolutely in love with the open format kitchen where we all gathered for breakfast in the morning. The other guests were so friendly too and we were happy to chat with visitors about recommendations for places to eat and things to do. The guestrooms were spacious, well-appointed and very comfortable! 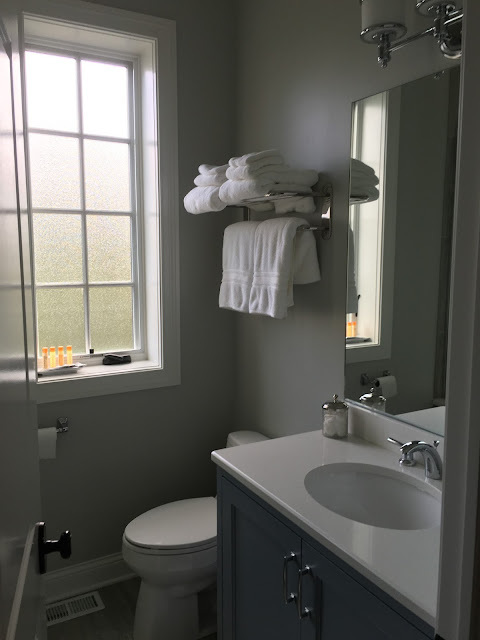 We loved the sleek bathroom and the balcony with a lovely view of the Chicago skyline. The bed itself was so comfortable, I honestly don't think I've had a better night of sleep since staying there. If only I could sleep there every night! 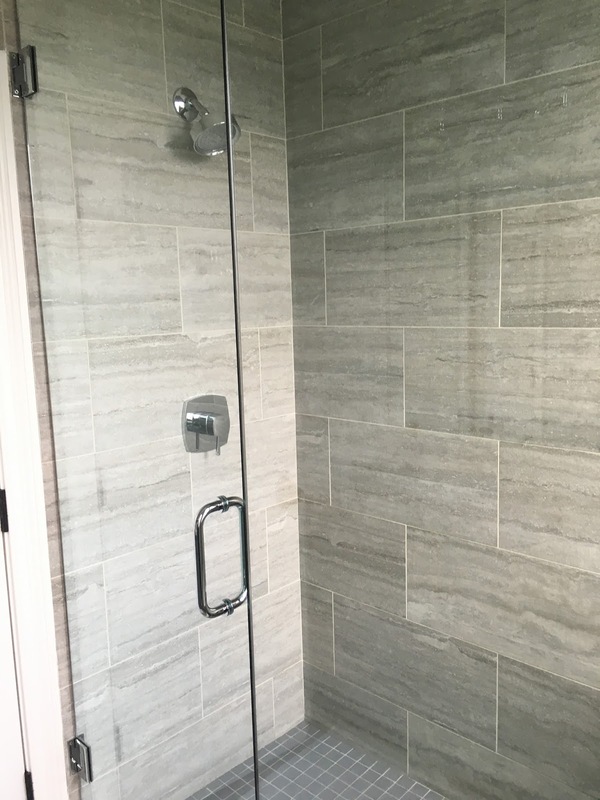 We loved the privacy we had at The Sono, but we also felt right at home. One of the best features of The Sono was the rooftop patio with a killer view. The roof is a perfect spot to sit next to the fireplace and sip a glass of wine (we did!). I also enjoyed my morning coffee there. I can't recommend The Sono enough for a staycation, or for out of town guests. I'm seriously considering them for my out-of-town guests for our wedding. Since we were staying in Old Town, we planned most of our itinerary within walking distance. The day we checked in, we walked to lunch at Tavern on Rush. We enjoyed some vino, appetizers including tuna avocado tartare, and sandwiches. It was a great spot to enjoy a leisurely meal (and people watch)! 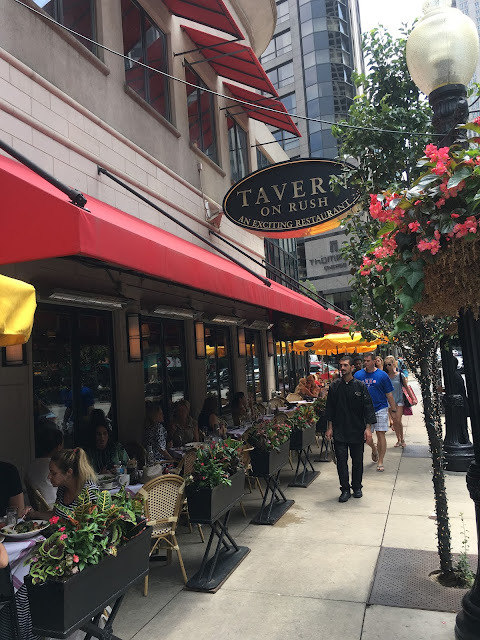 While our appetizer was delicious, I thought the sandwiches were nothing special, and I'd probably recommend Tavern on Rush for dinner, or simply for apps and drinks. I'm giving Tavern on Rush 3 ghosts out of 5. Post meal, we walked around River North and went shopping! After working up an appetite from shopping, we stopped at The Sono Chicago to quickly change, before heading to Chef Art Smith's Blue Door Kitchen & Garden. The restaurant used to be the famed Table 52, but don't worry, that famous fried chicken is still on the menu. Since it was a nice night, we sat outside in the adorable garden. The garden at Blue Door is a really special place to dine, I only wish it would stay warmer so we could enjoy it year-round! 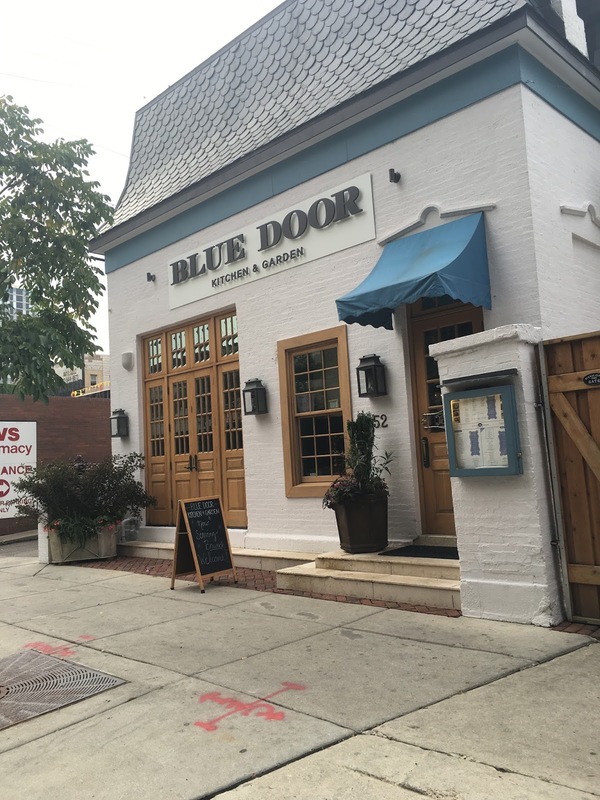 At Blue Door, it's all about amazing Southern dishes. 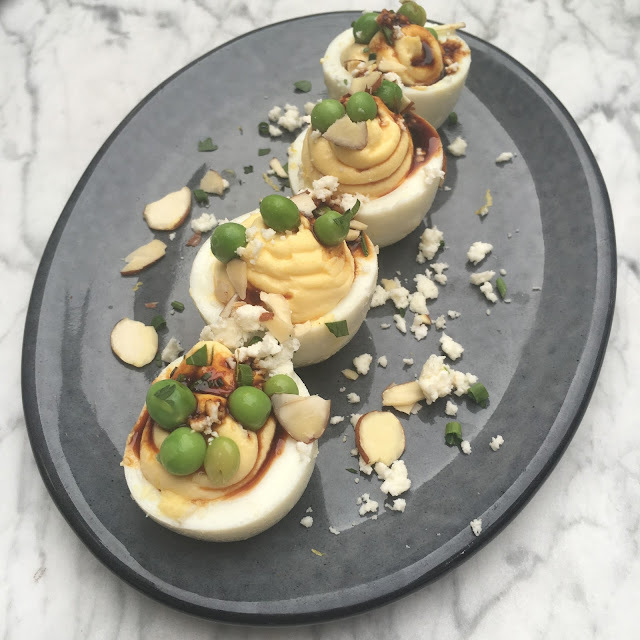 They started us off with some hummus served with sweet potato chips, and we also dug into a few appetizers including deviled eggs, purple potato gnocchi, and cauliflower cheddar pierogi. Everything was seriously incredible, albeit indulgent! Chef Smith's fried chicken is a must order if you haven't tried it before. 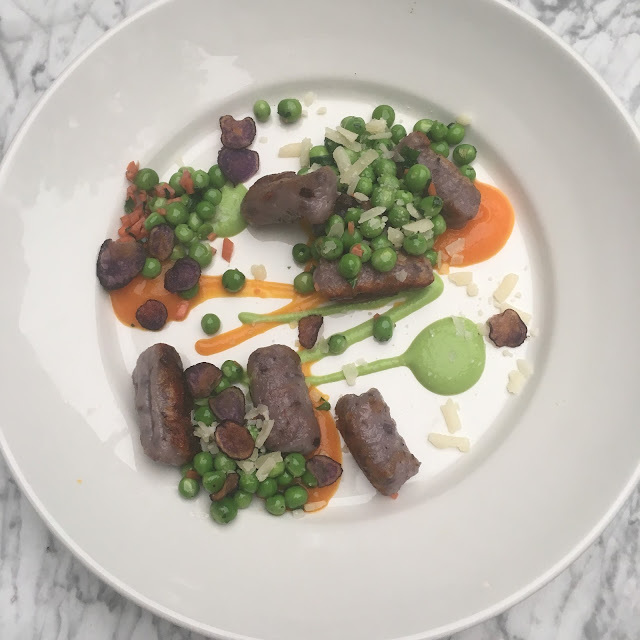 They serve it with house hot sauce and black pepper honey, on a bed of mashed potatoes. The buttermilk gives the meat a juiciness that is a nice contrast with the crispy chicken skin. 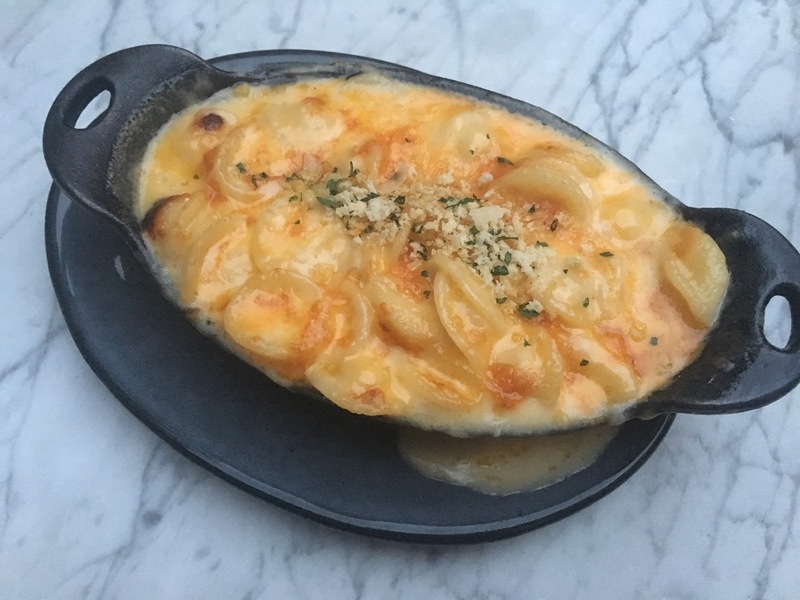 We also tried the three cheese mac & cheese made with orecchiette pasta, a unique touch in my opinion. It was decadent, creamy, and rich. 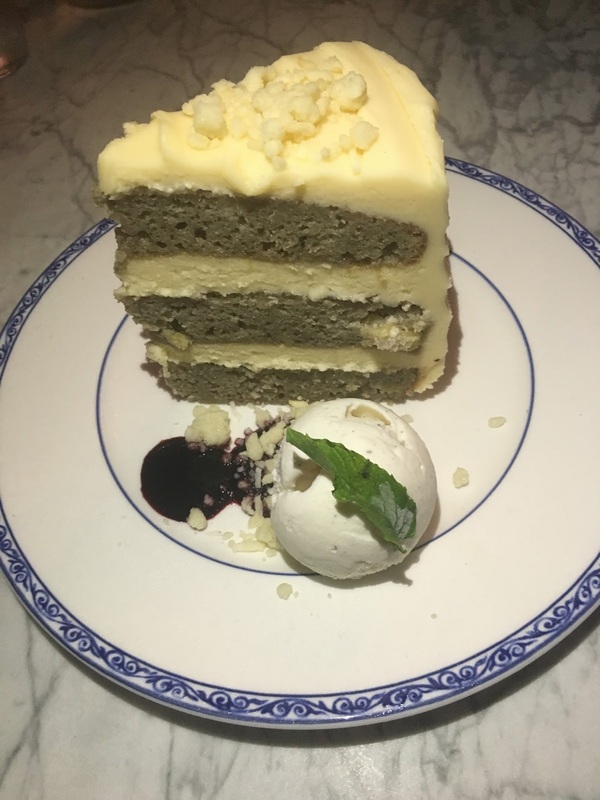 Somehow we managed to save room for dessert - Chef Smith's hummingbird cake. The cake is a banana and pineapple cake with cream cheese frosting. It's like carrot cake, but 100 times better. We ended up taking most of the three-layer cake home and rationing out bites for the entire next week. If you like sweets, you'll love it. The next morning after enjoying a continental breakfast with fellow B&Bers at The Sono, we ventured out to the Art Institute. I swear we didn't just eat the entire staycation...we also got in a little bit of culture, exercise, and a Cubs game! 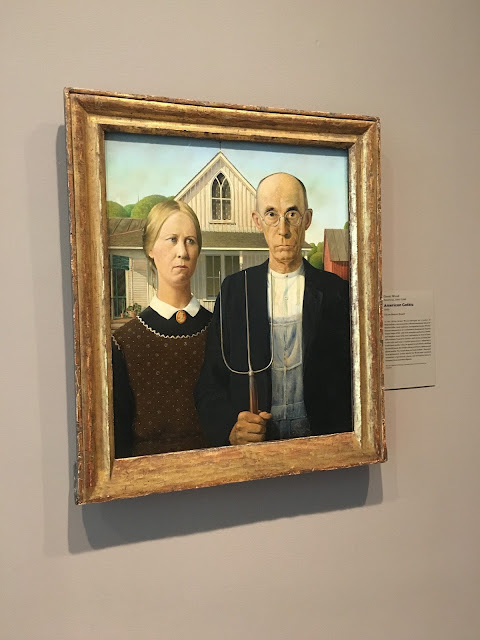 The fiancé had never been to the Art Institute (shame) so this was at the top of our staycation agenda. 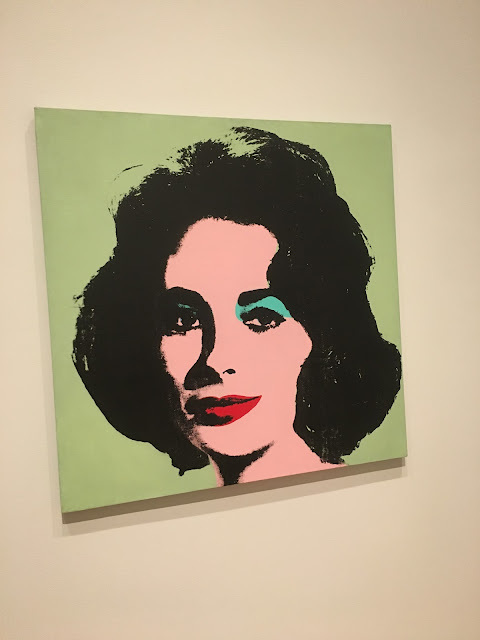 We definitely didn't have enough time to navigate, but we walked through gallery after gallery, observing everything from Seurat, to Andy Warhol, to Grant Wood. Post Art Institute, we didn't really have plans, so we decided to hop on the el to Cruz Blanca and Leña Brava, two newer spots from Chef Rick Bayless. 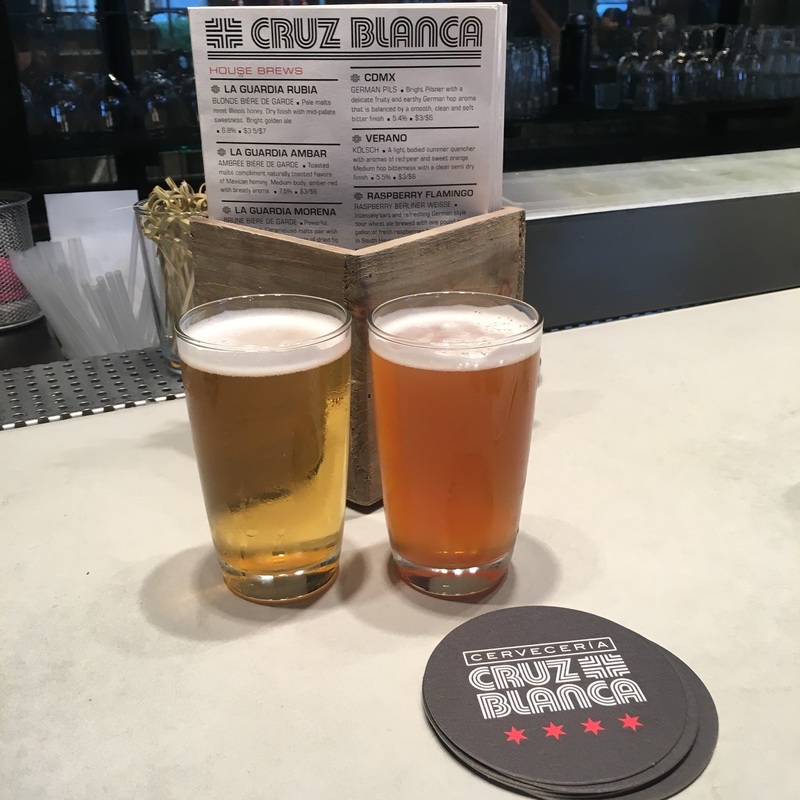 It can be hard to score a reservation at Leña Brava, so we put our name in right when they opened at 5:30 pm and grabbed a seat at the bar at Cruz Blanca next door (I highly recommend this tactic). 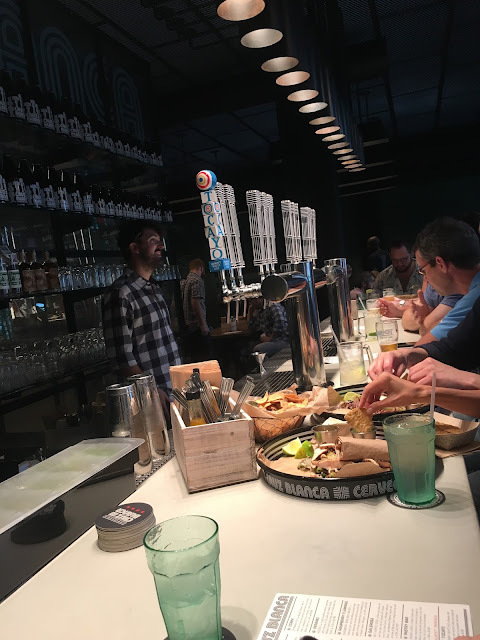 Cruz Blanca is a more casual brewery and taqueria serving a simple menu of snacks and tacos. Before we could even finish our beer though, our table was ready at Leña Brava! 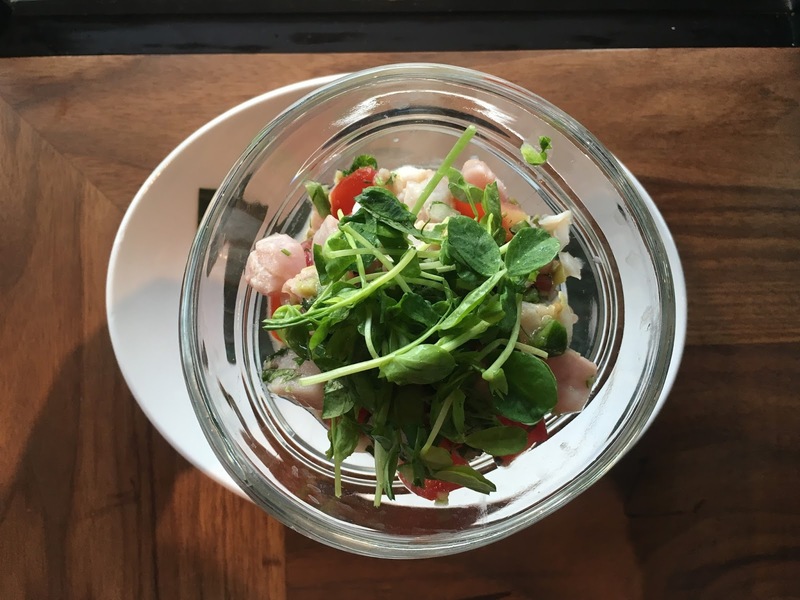 At Leña Brava we chose to sit at the bar so we could get a front-row look at the cold bar where they were making ceviches, and other seafood-centric dishes. Leña Brava's food menu is divided into two sections: fire, and ice, and its drink menu also features these sections. We tried our best to order from both sides, starting with the ice section. 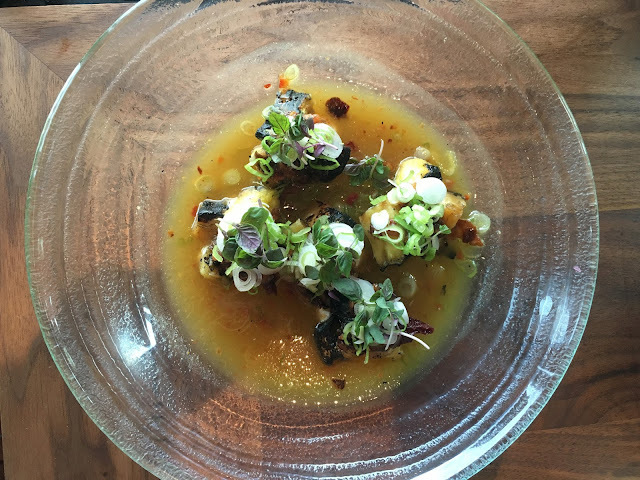 We tried the pineapple aguachiles with grill-roasted pineapple, orange lime broth, goat cheese, spicy hazelnut salsa macha, and knob onion tops. 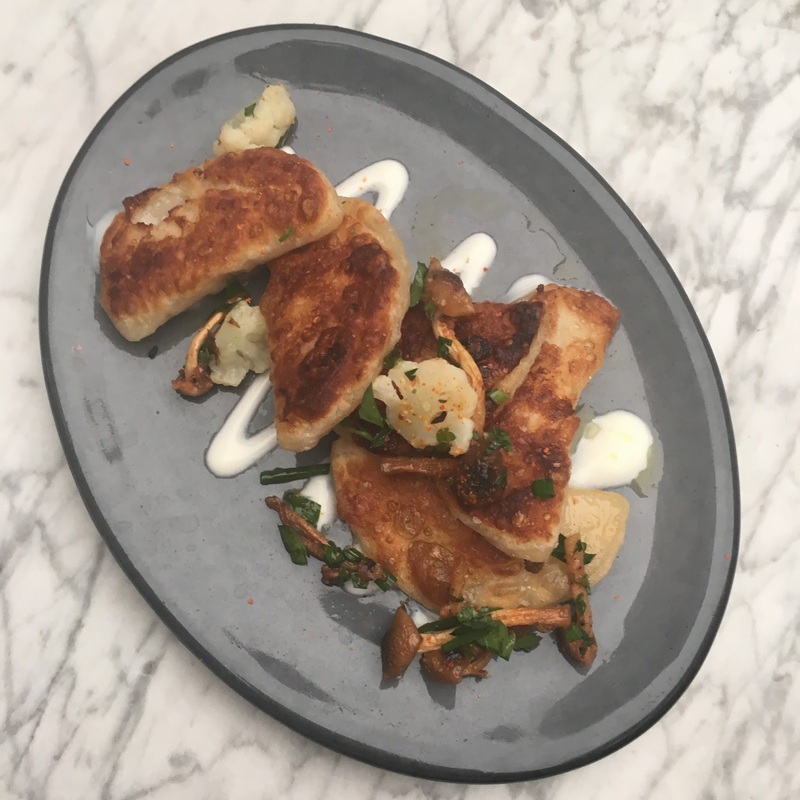 This dish was one of the best things I've eaten this year. The flavors were so unexpected, yet so refreshing. I also thought the plating was quite beautiful. Next we tried the Leña ceviche with Hawaiian albacore, fresh lime, ginger, ripe Mighty Vine tomatoes, picholine olives, Baja olive oil, spicy green chile, and cilantro. It was acidic, and incredibly fresh. 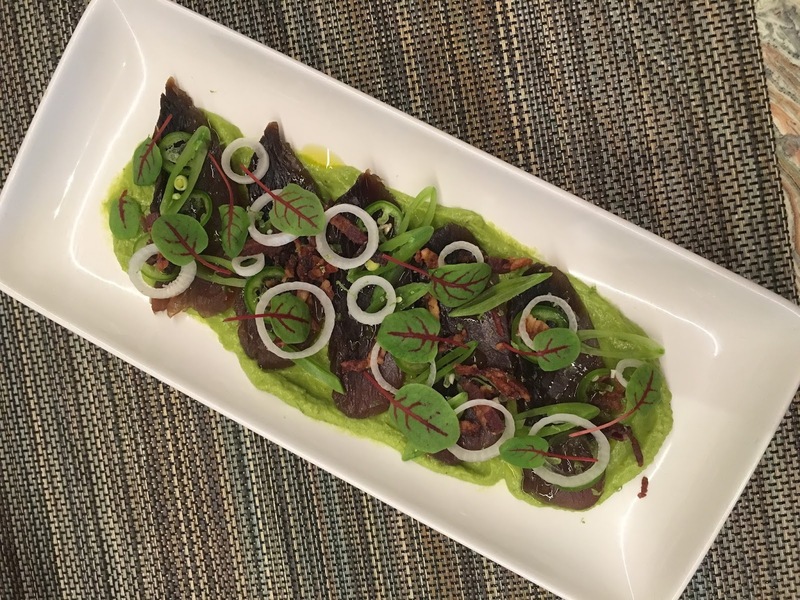 Next we ordered the smokey dry-cured opah which is thinly-sliced pieces of opah with bacon, sugar snap peas, and onions. This wasn't my favorite dish, but the fiancé liked it. Moving to the fire section of the menu is where you will find wood-fired dishes, including entrees for two people. 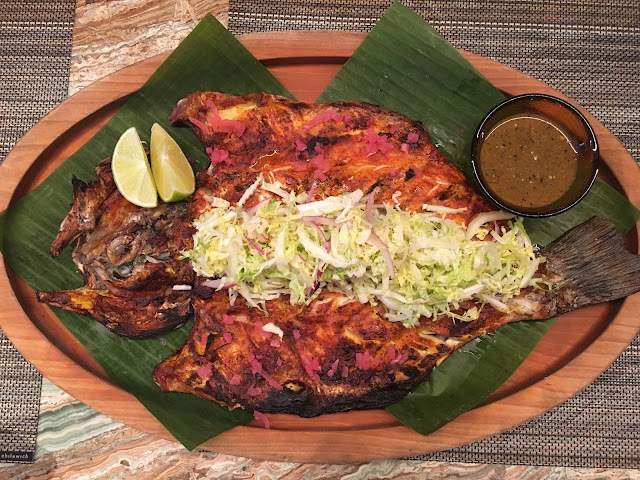 We opted for the whole striped bass served Yucatecan style with achiote, roasted garlic, spices, pickled red onions, and habanero. The fish was flaky and fresh, but we had to watch out for bones, of which there were a ton. The spicy habanero salsa on the side was not for the faint of heart either! One dollop and you were good! As a side dish we tried the plantains that are wood-oven roasted with butter, thick cream, and homemade fresh cheese. They were so delicious and sweet, they could have passed for dessert! 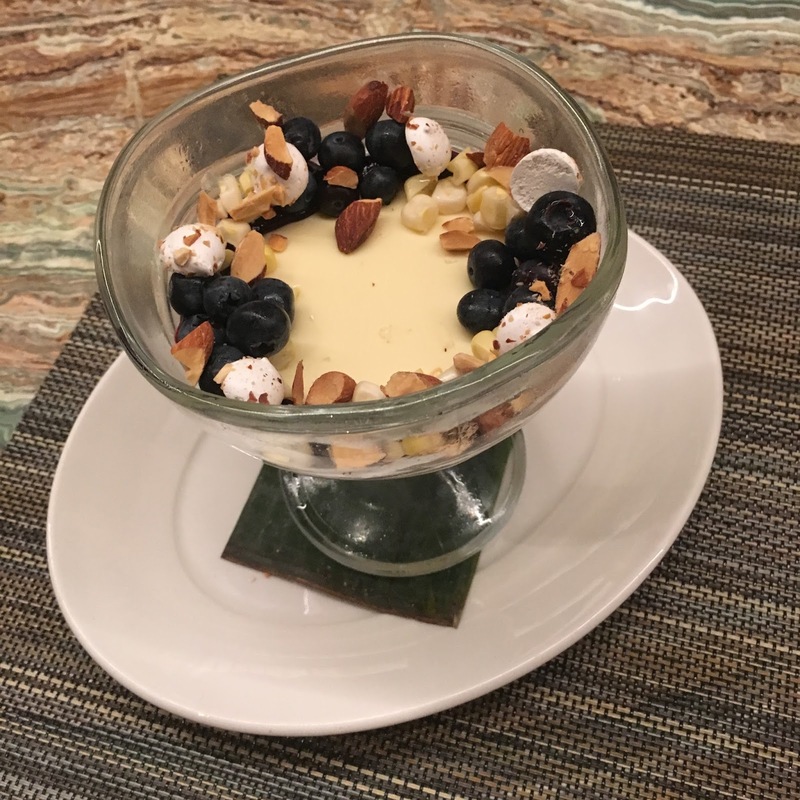 Lastly, we tried their new sweet corn and blueberry dessert with creamy orange-sweet corn custard, fresh blueberries, and crispy toasted almond meringue. Corn and blueberry was an unexpected flavor pairing, but it worked well! Overall, our meal at Leña Brava was fantastic and I was truly happy with the variety of unexpected flavor pairings, and preparations. I'm giving Leña Brava 4.5 ghosts out of 5. Overall, it was nice to get out of our standard environment for a long weekend. 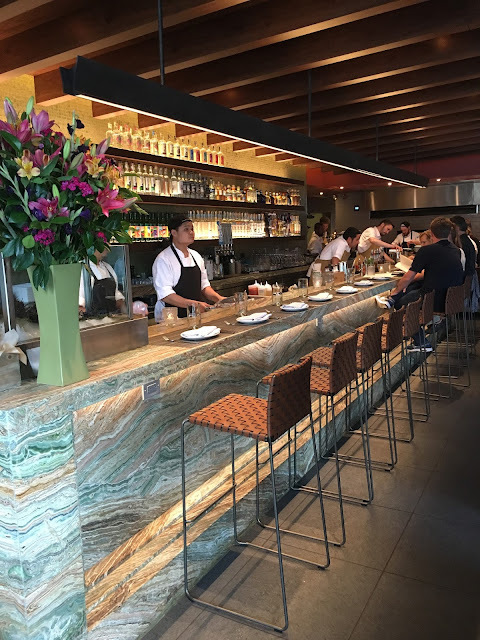 Being able to spend time in a beautiful place like The Sono made it easy to relax, and we blended set plans (eg Art Institute) with impromptu activities (eg drinks and dinner at Cruz Blanca and Leña Brava), which I think is the way to go! 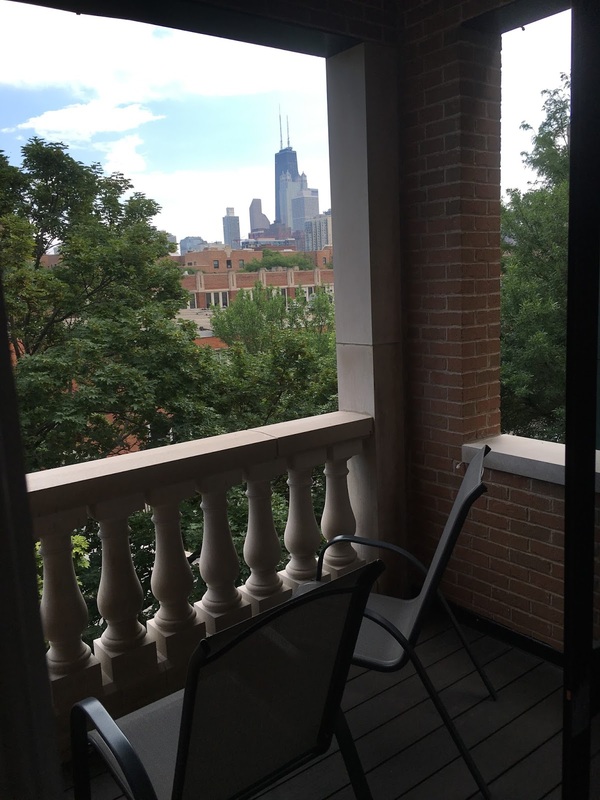 Have you ever organized a Chicago staycation? 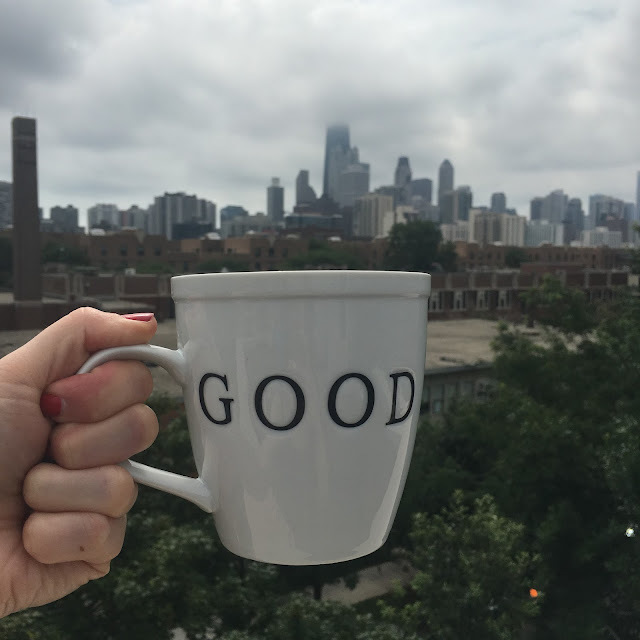 Note: I received a complimentary stay at Sono Chicago in exchange for this review, and my meal at Blue Door Kitchen & Garden was complimentary; however, all opinions expressed are my own. Love this! Sono Chicago looks so cool. I want to stay there! The Sono Chicago is amazing. It's beautiful, fantastic location,the owners are so welcoming, & you truly feel right at home.